Part I of this series covers the Comments and Compare features. A second way to collaborate online is to post your presentation on Office Online (previously called Office Web Apps). The online version of PowerPoint is missing many of the features of the desktop version but for simple edits, it’s quite capable. The trick is to start on your computer, using the desktop version of PowerPoint and then move to the online version. Office Online allows synchronous editing, which means that you can both work on a presentation at the same time and instantly — well, almost instantly — see each other’s changes. Click PowerPoint Online, the big orange button in the middle. Choose Recent documents on OneDrive (even if your presentation isn’t there). On the left, choose Files. Then choose Upload at the top. Click Share. In the boxes, enter an email address and a note to your colleague, setting up a time to meet. Be sure that “Recipients can edit” shows below the note. If not, click the link and choose your preferred options. You’ll both need to sign in. When you and your colleague are both viewing the presentation online, both of you should choose Edit Presentation, Edit in PowerPoint Online. You can both now work on the presentation together. You can each see what the other adds or deletes. There’s a bit of a delay. If you don’t see the changes, refresh your browser and choose Edit Presentation, Edit in PowerPoint Online again. When you’re done, you’ll want to save the changes back to your computer, so choose Open in PowerPoint. (You’ll probably have to confirm that you really do want to open it.) Now, you can resave the file on your computer. Remember that when you open the presentation in PowerPoint, it’s still on OneDrive, so choose File, Save As and then overwrite your original presentation, if that’s what you want to do. 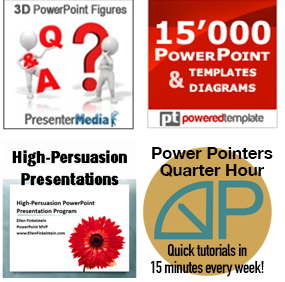 Have you successfully collaborated in PowerPoint? Leave a comment and share your experience! What is the new Microsoft Office? 2013? 365?